Flashes of Style: INVITE: Join me and Kate Spade Saturday! 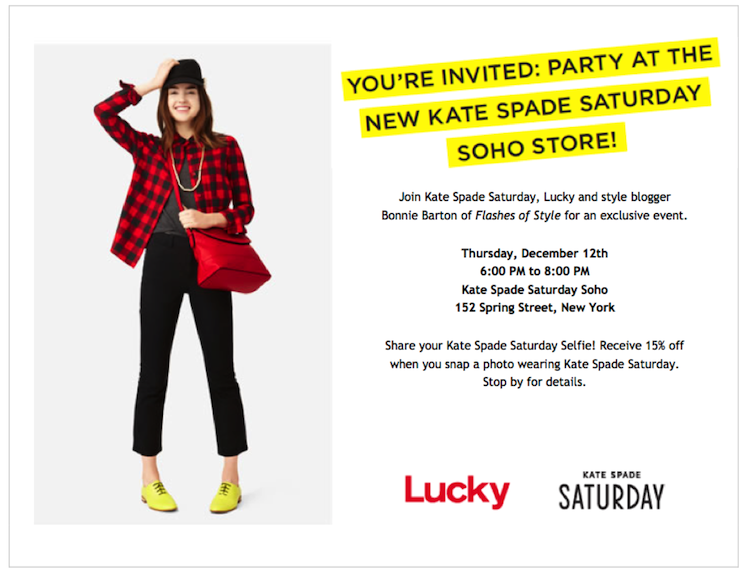 INVITE: Join me and Kate Spade Saturday! Hello NYC friends! I am so excited to announce to you all that I am hosting an event at the Kate Spade Saturday store in SoHo this Thursday evening from 6:00-8:00pm. I would love for you all to join me for cocktails, treats, and holiday styling tips. It's going to be a blast! RSVP here! Hope to see your faces there xoxo.